We fade in from black and are travelling down a dark country road. Trees with stiff, twisted branches flash by. The accompanying carnival music is beautifully eerie, conjuring images of merry- go-rounds and subtly hinting at the circular existence of the lives of the characters we are about to be introduced to in George Franju’s classic film, Les Yeux Sans Visage. A woman drives a Citröen 2CV, her face a canvas of anxiety. In the back there is a body bundled up in a trench coat, a fedora not quite fully masking a strangely dark, glistening face. The car pulls up to a riverside, out jumps the driver and pulls the body from the backseat, the fedora falls off revealing the thick hair of a woman, before she is unceremoniously dumped into the river. The driver returns to the vehicle, job done. This is Louise (Alida Valli), assistant and accomplice to the esteemed Doctor Génessier (Pierre Brasseur), who riddled with guilt after disfiguring his daughter’s, Christiane (Edith Scob), beautiful face in a terrible car accident, has committed himself, obsessively so, to finding her a new one. There is a human quality to this film that extends beyond the body shock horror. Génessier obsession with “replacing” his daughter’s face is not only driven by guilt, but also by love, he is after all her father. But, with each surgery he travels further and further away from his daughter and into a world of kidnapping, murder, and obsession. Christiane, locked up in the house and slowly going mad, recognizes that she sits at the centre of the murders her father commits. Les Yeux Sans Visage addresses the complexities of fear, love, guilt, isolation and duty. Scob’s Christiane is beautifully horrifying. She glides throughout the house, her face hiding behind the pale smoothness of her mask, only her giant, wet doe eyes visible. 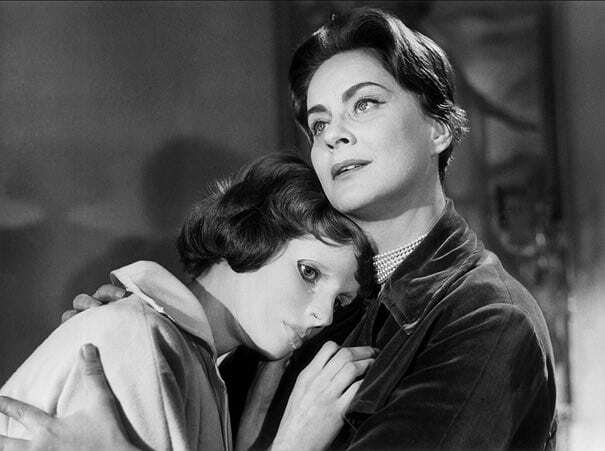 She is delicate and soft, perfect for the fairy tale nightmare that has been so excellently crafted by Franju and capture by cinematographer Eugen Schüfftan, who plays with surrealism and expressionism with a low-key docu-realism feel. Les Yeux Sans Visage is a haunting film and a must see.